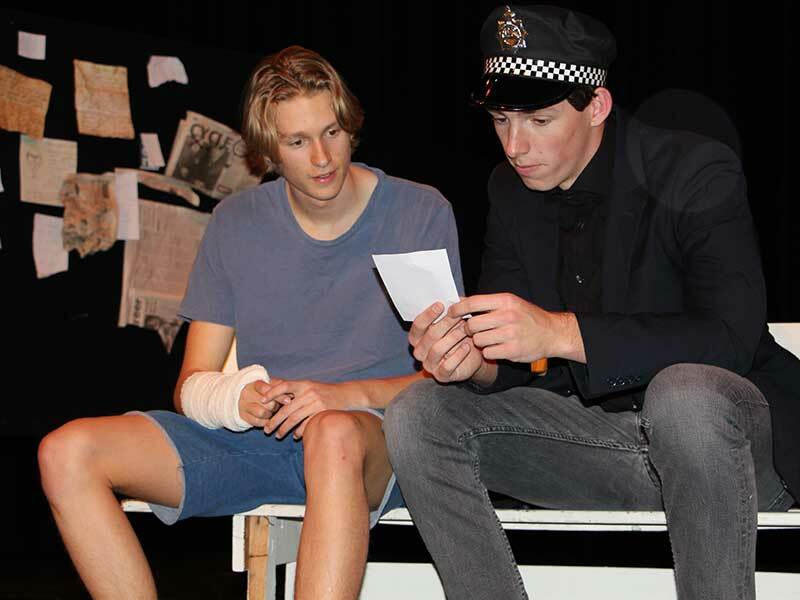 Students studying the Arts at Grammar have the opportunity to experience a range of disciplines. Through the Arts, students learn to express their ideas, thoughts and opinions as they discover and interpret the world. Here at Grammar we encourage students to reach their creative and expressive potential. Through the Arts, students learn to express their ideas, thoughts and opinions as they discover and interpret the world. Our Visual Art program offers students an eclectic range of material and conceptual experiences and a diversity of colourful, dynamic learning environments. 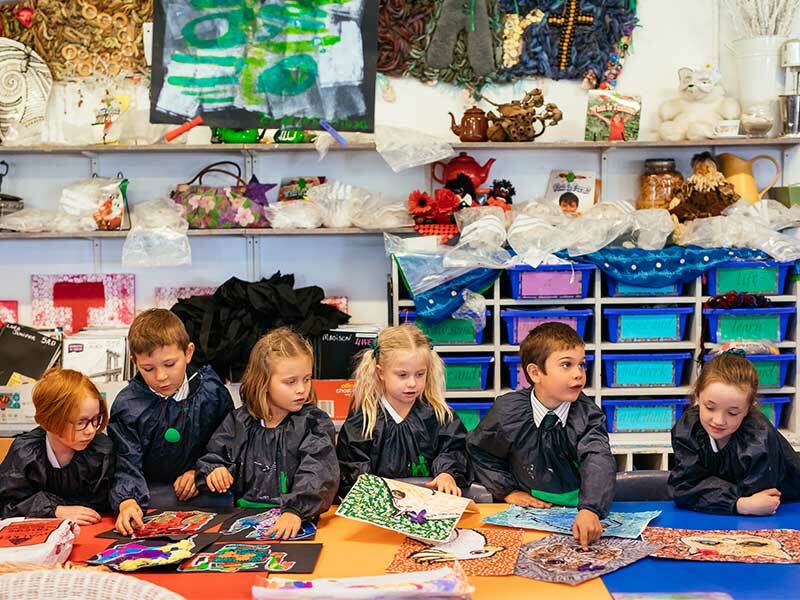 Students are encouraged to produce art works of developing depth and maturity. They will be given opportunities to create, reflect, challenge, ritualise, collaborate, critique and celebrate. Our Visual Art students will study the past, unpack the present and look into the future to make images and objects from informed perspectives. Visual Arts learning provides students with opportunities to engage with creative industries and arts professionals. The Visual Art program contributes to the development of a confident and creative individual, nurturing and challenging so they become informed citizens. The Primary Speech and Drama program provides students with opportunities to explore and express ideas and feelings. The program aims to develop clear and effective speech and communication skills, build confidence and self-esteem and support and enhance oral and dramatic presentations. Students will be immersed in learning experiences including articulation, voice techniques, choral speaking, everyday speech, improvisation, script, Drama games, creative movement, mask and mime, role play, puppetry, monologues and performance. The Secondary Drama program provides students with the opportunity to develop higher intellectual skills, empathy, social, linguistic and communication competencies. Through the study of Drama at Grammar, students are provided with experiences which develop self-confidence, self-discipline and social skills. The study of Drama is a unique way for students to blend intellectual and emotional experience, in order to help define their identity both within their own community and broader society. I have been part of the Grammar family ever since Prep. So many doors have been opened for me at Grammar, providing me so many magnificent opportunities to thrive. All throughout my time at Grammar I have been continuously encouraged by teachers to not only achieve, but to extend myself in all areas. One area I aspire to is our specialist lessons. These weekly opportunities stimulate our imaginations and provide motivation to pursue our unique talents. An area I am most passionate about is the subject of Visual Arts. I have been nurtured to further my love and mastery of the subject through the continued support of the specialist teachers in this area. Each of us are truly blessed to teach, learn and play alongside such passionate, respectful and caring people every day at Grammar. To share each day with staff, students and their families in a school community built solidly on service above self and looking outwards to others is indeed humbling. I am privileged to have worked at Sunshine Coast Grammar School since 1999. I enjoy working with like-minded people who are passionate about the education of young people. 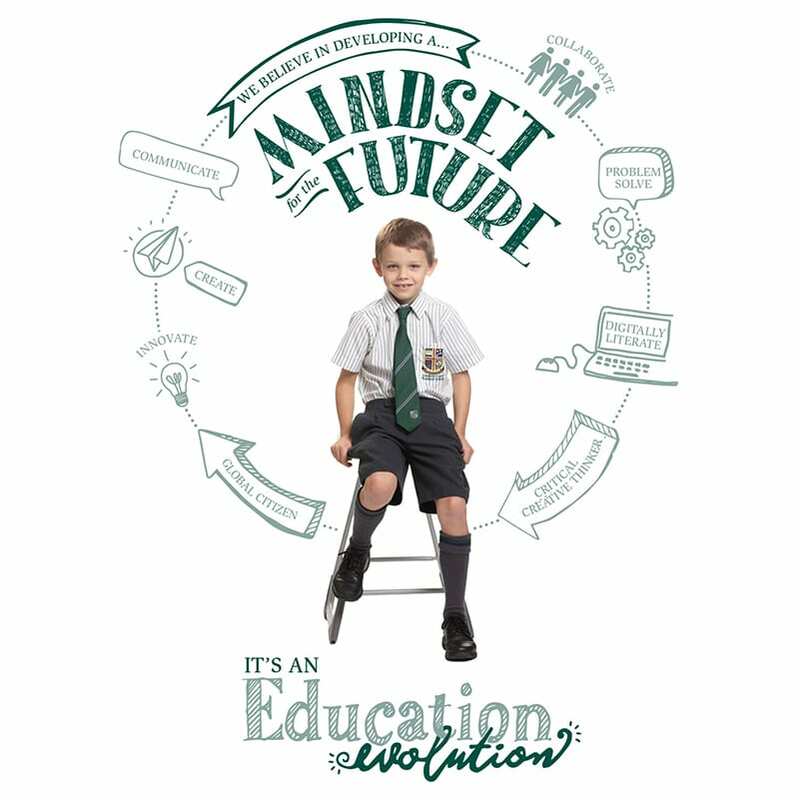 Sunshine Coast Grammar School provides students with the opportunities that will allow each individual to reach their true potential. I believe in a Grammar education so much, my son will spend his educational journey at Grammar. Our family relocated from Hong Kong to the Sunshine Coast five years ago. 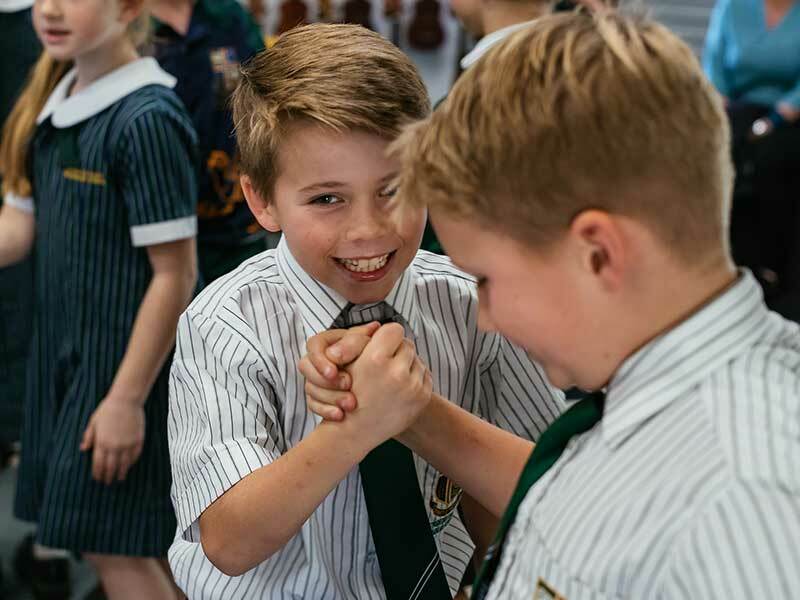 When looking for a suitable school we chose Sunshine Coast Grammar because of its reputation and balance for academic and sporting excellence. We fell in love with the grounds and superb facilities at the school. The boys are all involved heavily with the music program and finding friends and fitting in was made a lot easier by starting the school rugby program immediately. Through the boys sports and extra curricular activities they were quick to form friendships that will have a long and lasting impact beyond their time at Grammar. My time at Grammar was instrumental in shaping who I am and being able to achieve my dreams today. Education delivered in a thoroughly supported environment by passionate and amazing teachers, have set my colleagues and I to be competitive in our respective fields. Further to which we were encouraged to develop skills and talents we enjoy, and to become well rounded individuals. Grammar provided me with many skills that benefit me every day in my career and at university. The support from the Grammar staff throughout my schooling was second to none, and I will forever be grateful for my time at this wonderful school.